Create a haven in your backyard for our feathered friends by offering food, water, shelter and nesting sites. 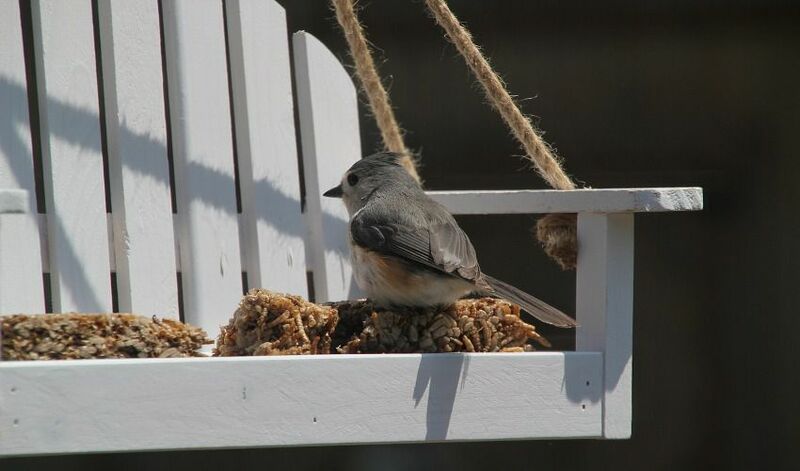 Food: Placing a wide variety of feeders and food around your backyard will attract the widest variety of wild birds. Research the best feeder types and the types of seed your favorite birds prefer. You can also consider plants that offer seeds, berries, sap and nectar for year round food. These plants can also act as a source for nesting materials. Popular foods to attract birds include seeds, fruits, insects, scraps, nuts, suet and nectar. Create a Water Source: Birds are attracted to the sound of dripping or moving water. You can use a birdbath or create a shallow pond with a fountain. Birds are attracted to the sound of moving water which may draw them from greater distances for a drink or bath. A mister or dripper can work as well. Offer Shelter: Birds feel secure if they have shelter to protect them from the elements and potential predators. Common bird shelters include trees, shrubs, brush piles and grassy areas. Provide shelter at different heights for birds that prefer both high and low shelters. Dense plant growth can be effective for smaller wild bird species. Trees and shrubs offer a place to raise their young. Nesting Sites: Different species nest in different places. Research birds you wish to attract to determine the types you should supply. If you are planning on placing nesting boxes, be aware that boxes with different hold sizes and shapes will attract different species. You can also provide nesting material such as string, yarn, small bits of cloth or anything similar a bird can use to build a nest.